Brigitte Marie-Claude Macron is the wife of Emmanuel Macron, the President of France. She used to work as a teacher of French and Latin; since May 15, 2017, she is the first lady of the country. Brigitte Marie-Claude Trogneux was born on April 13, 1953, in Picardy, northern France. Her father, Jean Trogneux, owned a pastry shop chain and produced sweet stuff including macarons loved by French people. The mother, Simone Pujol, was a housewife. There were six children in the family; Brigitte was the youngest kid. The woman began her career as a press officer in the Chamber of Commerce and Industry in Pas-de-Calais. Later on, she gained the CAPES and the right to teach arts in schools. The future first lady worked in Paris, Strasbourg, and the protestant Lucie-Berger school. However, she did not feel right at those places and came back to her hometown. In 1991, Trogneux began to teach Latin and French at the Lycée La Providence. Two years later, she met her daughter’s classmate, Emmanuel Macron. Brigitte was the young man’s teacher of literature, and he joined her drama class in a while. In 1994, the young woman and the student started dating. The relationship would have become a major scandal in a small French town; Emmanuel’s parents sent him to Paris to study. 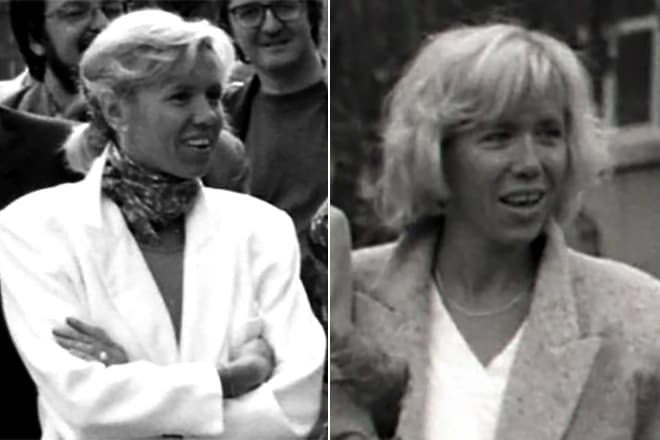 In 1974, Brigitte Trogneux marred a banker André-Louis Auzière. Three children were born in this marriage: the son Sébastien and the daughters Laurence and Tiphaine. Although her family life was rich, the woman did not quit her career. This decision became significant in her life. When Brigitte was 39, young Emmanuel Macron came to her daughter’s class. The young man and the teacher of literature spent a lot of time together, discussed performances and books of many writers and poets. Eventually, Brigitte and Emmanuel got close and started seeing each other, despite 24 years of the age difference. At that time, Brigitte was still married. Macron’s parents did not like the situation. The young man’s family sent him to Paris so that he received an education. In his dreams, Macron saw himself as a writer, not a politician. As soon as Emmanuel reached the legal age, he continued to communicate with Brigitte. There were no obstacles to their love. When Emmanuel was leaving for Paris, he promised the woman to come back and marry her. He kept the promise. In 2006, Brigitte decided to divorce her husband and the father of her children. She was not alone: children and grandchildren were together with her. Emmanuel did not rush to look for love: he believed he had found it in Brigitte. One day, he proposed to his beloved one. The woman took her time and accepted the proposal. In a while, she moved to Paris where her fiancé lived. At the age of 30, Emmanuel became a father and a grandfather. 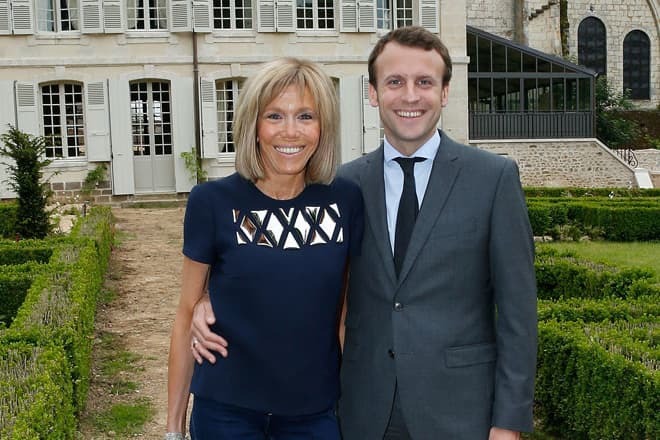 Brigitte’s life experience has often been useful for Macron: the wife gives pieces of advice related to complicated situations, banking, and minister work to her husband. The couple collaborates at home and work; the relationship is based on partnership. In the course of time, Brigitte took an interest in her husband’s career and quitted teaching. Today, she deals with the issues that do not require Emmanuel’s attention and saves him from everyday problems. The entire family including Brigitte was involved in Macron’s pre-electoral campaign. The woman helped with everything she could and contributed to his victory. Macron said Brigitte would always play the role she had, and she would not stay behind. The children adopted by Emmanuel supported the man as well. On May 15, 2017, the Macrons turned over a new leaf in their life. Brigitte became the first lady, and Emmanuel became the President of France. The new leader of the country recommended the government to create a special status for the first lady with particular functions. The French people stood against the idea and collected more than 200 signatures via the online petition. However, Brigitte Macron got a place in the government, even though it was an unpaid position. 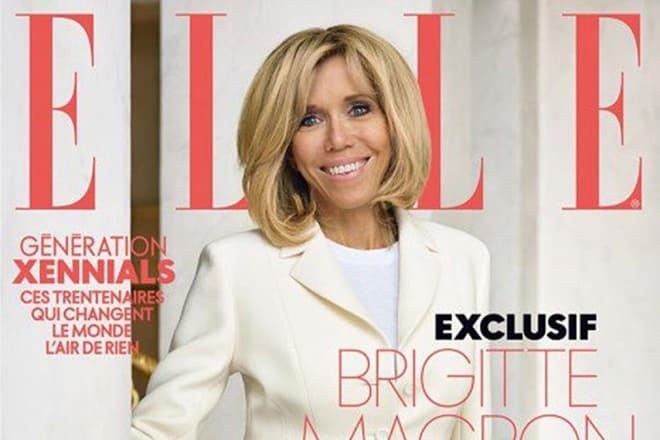 Brigitte Macron’s life is exciting. Recently, the woman gave an interview to Elle; the issue was bestselling. Macron spoke frankly about her younger husband, children, and clothing style criticized by people and fashion gurus. Brigitte is a fan of Dior and Louis Vuitton. Madam Macron managed to outshine Melania Trump, the wife of the American President, whose style was discussed by all media. The first lady of France appeared in front of guests and journalists wearing a white mini-skirt. Both women’s sizes are similar to those of models. Brigitte’s height is 175 cm., and her weight does not exceed 50 kg. There are many speculations about Macron’s appearance. 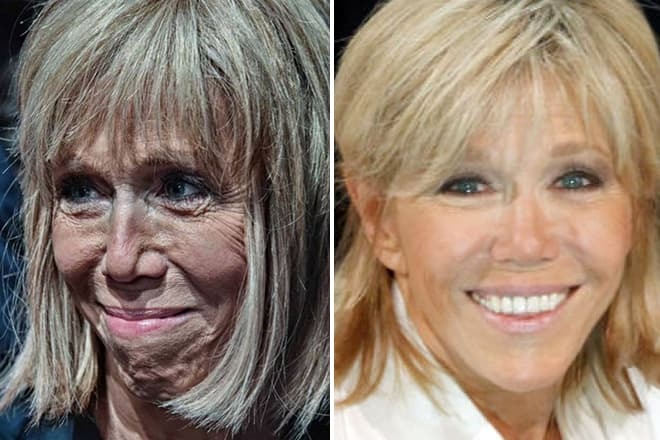 Some professionals claim Brigitte had plastic surgery; others are sure she had none. Experienced specialists believe the woman’s appearance is the combination of good genetics and high-quality care. 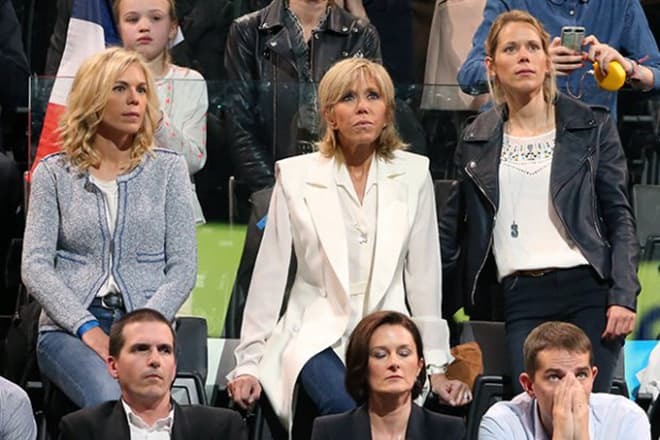 Brigitte Macron is not an active user of social networks. However, there are many photos of the woman on her fans’ and her husband’s official Instagram pages.